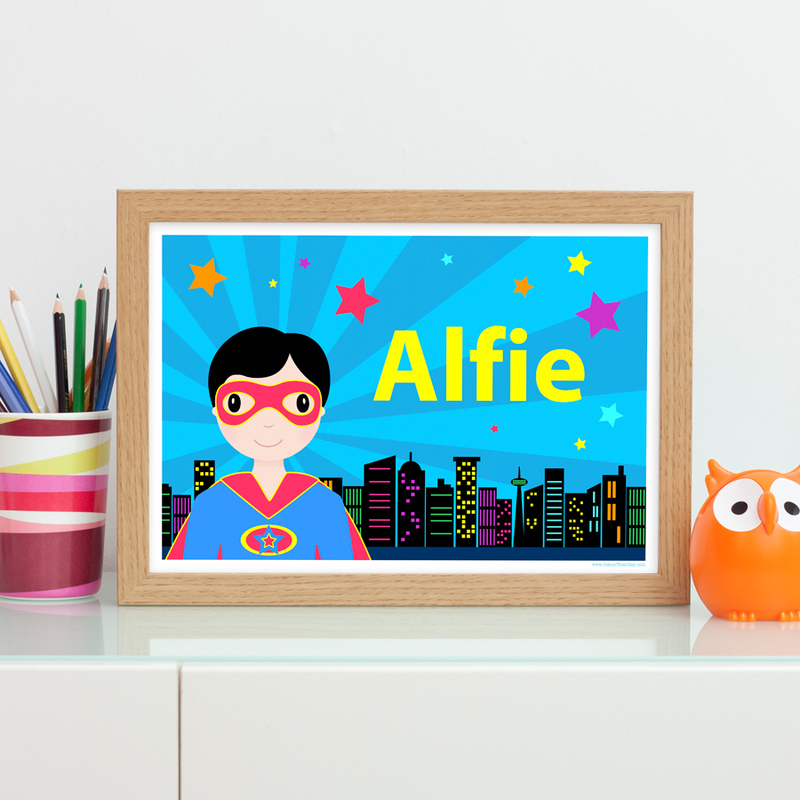 This awesome personalised name print is an ideal birthday gift for a little superhero that you know and love. The print features a boy superhero, from the ‘When I Grow Up…’ range, standing against a skyline of skyscrapers, ready to save the world. Personalised with the child’s name in large yellow type, the print is available in A4 unframed, A4 framed and A3 unframed. Be the first to review “Superhero Boy Personalised A4 / A3 Name Print” Click here to cancel reply.